EasyBlog - What does it mean to really listen in prayer? Yael Vurgen, a classmate of mine at HUC rabbinical school and a fellow-Modi’in resident, led a morning prayer service (tefillat shacharit) this week that was unlike anything I have ever experienced. And it was all around the very basic concept of listening. She transmitted this by doing the tefilla in sign language. 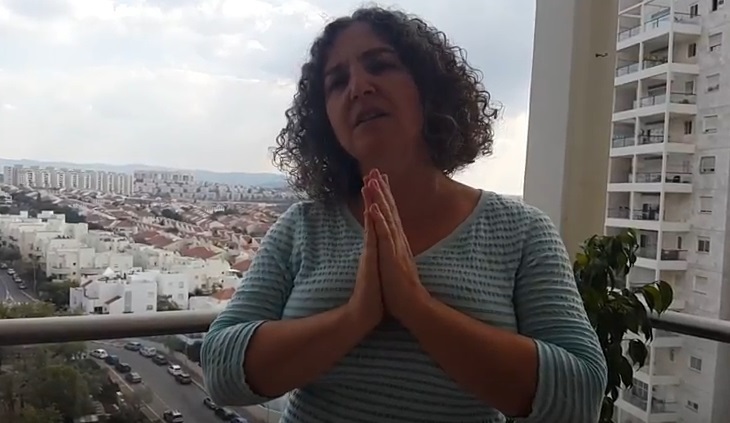 Here is a clip of Yael teaching the prayer "Ha'azina" -- "Listen" -- in sign language. This is the prayer that opens up the idea of listening in prayer, where we ask God to listen to our prayers. Notice that in order to sing this in sign language, you need hands free. You can’t be holding your prayerbook or anything else. Also notice that you need to use your eyes. You have to be present and focused and awake. In fact, sign language requires using your entire body in a sense. This makes the prayer experience something visceral, fully felt. There is no skimming or absently going through the motions. Here is a clip of Yael teaching the morning passage Moda Ani, “I am grateful”, in sign language. Today we are praying in signs of hearing, or the absence of hearing, and a different type of hearing. It’s about recognizing a different quality in the words. Not their sounds, but rather to think about how they look. How would the word “spirit” or “soul” look? How would the words “light” and “darkness” look? How about “compassion”? To engage in prayer with this kind of consciousness is to transform the prayer experience from one that is about repetition and tradition to one that is about awakeness and presence. In this exercise of beginning to think about the diversity of the human experience, we are able to open ourselves up to the vastness of humanity as well as the potential of broader spiritual and human engagement. You are not just you. You are not just your immediate senses. There is more to the world, to the earth, to this thing called life. Open your eyes to see this vastness, to others, and only then to fully see yourself. The prayers at Hebrew Union College, led each time by different students who bring their own passions and life lessons to the event are so often like this. These are prayer services that are both rooted in tradition and creatively unique. There is no going through the motions at the HUC tefilla. Each moment is thought through, meant to be experienced fully. As one Orthodox staff member told me, “I go to my regular [Orthodox] morning minyan to get the job done. But I come to the HUC tefilla to talk to God.” Exactly that. I’ve had this debate with some of my classmates. One friend says that the Reform tefilla deviates too far from tradition. He comes from the Orthodox world, like me, and spent many years in yeshiva, and he misses many of the sounds and codes from the prayer that has been so familiar. But my experience is different. For me, the standard Orthodox prayer service feels very rote and routine and often emotionless. The parts that evoke spiritual engagement – like the songs – are the parts that the Reform service has hung on to. For me, there is just the right amount of tradition. In fact, the whole structure of the tefilla is basically the same, as is most of the language. I feel like there are actually very few real changes to the liturgy at HUC, when all is told. But what makes it different is that each time a person leads, she or he brings in extra songs, texts, ideas, and insights, and shares them with all of us. It becomes an actual prayer experience, not just getting it done. Another classmate said to me, “But if you change everything, what is left to tradition?” Again, I feel like HUC is hardly changing anything. It’s more like trimming, giving the prayer a new haircut, or a pruning. And adding some color, depth, and character. And the service this week was a phenomenal example of the potential of that approach to prayer. It is living prayer. Fully alive. Reading the Shema is the heart of the prayer. It is a revolution in our relationship with God in the prayer. Instead of asking God to hear us, we are being asked to hear God, to hear the One God. What does that mean? It means to hear with the ears of our soul. To hear the sounds of the thunder turning, the wind howling, the water flowing, the birds chirping. To hear the unheard love between parents and children. The freespirited laughter of children playing – maybe that is the voice of God. To hear the voice that demands of us to feed the hungry, to dress the naked, to free the imprisoned. To hear the cries of the protesting disabled and the construction workers who fall because of their boss’ negligence, the cries of assaulted women, or the wails of parents mourning their dead, and the cries of those who were just massacred in Texas. To hear the multitude of human voices and languages that call to each other, who yearn to be one humanity – maybe that is how we will hear the voice of one God. 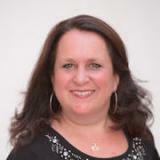 Here is a clip of Yael teaching the beautiful prayer, "Haazina" -- "listen" -- in sign language. Another powerful sensory input is via the sense of touch and vibration. A moving example of this is the shofar blowing I listened to and observed on Rosh Hashanah. The synagogue I attended frequently has a section in the front with signed prayers and deaf attendees. During the shofar service, the shofar blowers walk to this section and the deaf participants place their hands on the shofars, including some quite large shofars, and "hear" the sound of the shofar through the vibrations received on their hands and bodies.